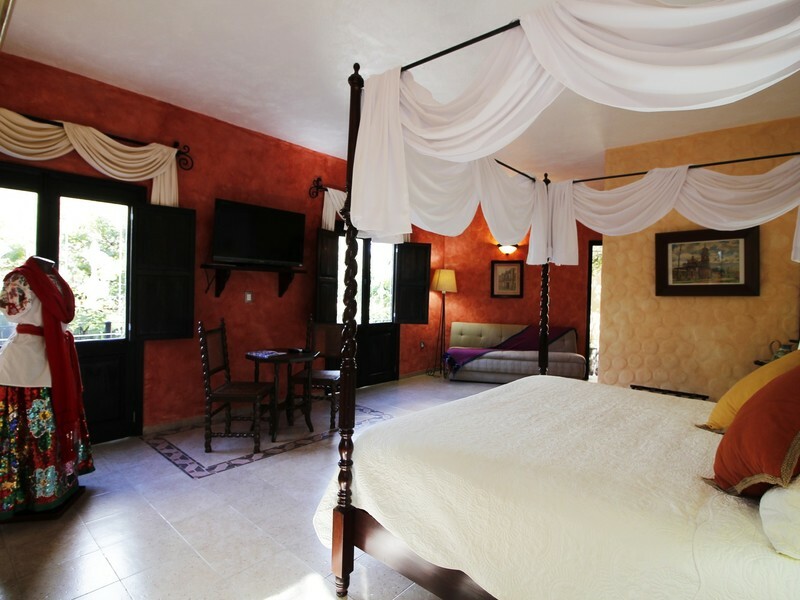 Hotel Quinta las Acacias has 16 rooms and suites, each one with a special and unique charm. This is one of many qualities that make us a luxurious boutique hotel. 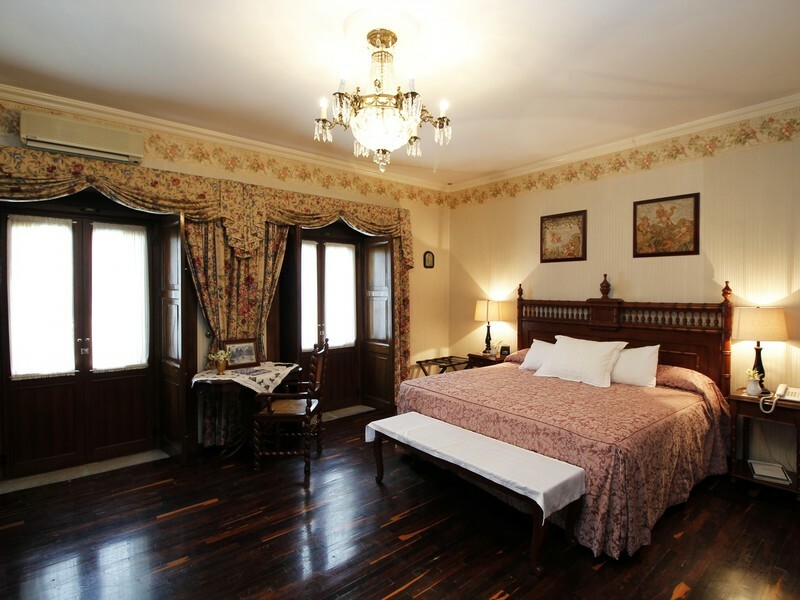 Each room has been decorated with a theme and has been named on the basis of its décor.The names of the rooms are based on personalities, legends and areas of our country. To know them, is to live them! The main House,dating back to the 19th century, with its European architecture, has six rooms. Each was decorated with great care with antiques and furniture of epoch; achieving an atmosphere that will transport you in the centuries. In the back of the main House are the remaining suites.Some originated from ruins that were on the property. These suites are larger and the extra space provided our architects the required space for large bathrooms with jacuzzi. Some of them were decorated with handicrafts from different regions of Mexico and others with a classical European style. Each of these suites has a unique character with details that make them astonishingly beautiful. 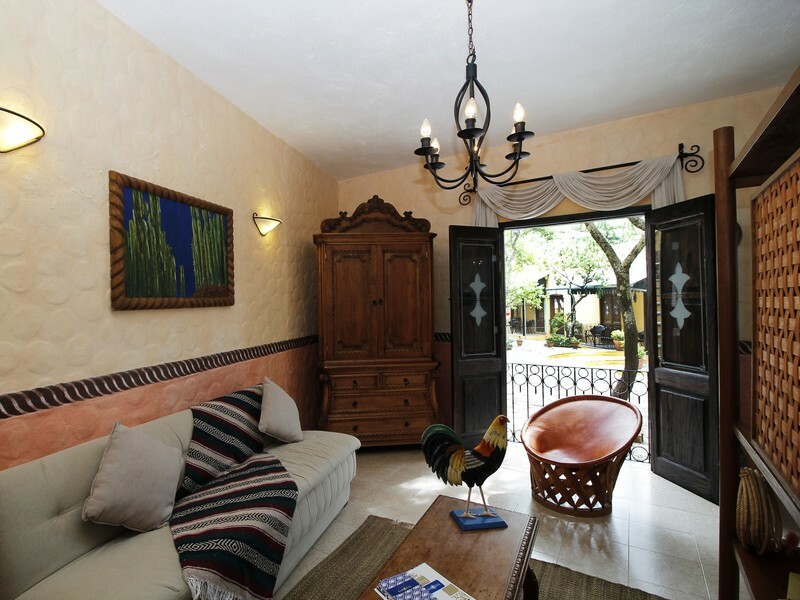 Our presidential suite, Frida Kahlo is located in the upper part of the cactus plaza. From it you can enjoy sublime views of the mountains of Guanajuato. The suite was decorated with the Frida Kahlo theme. It has lively decor and contains replicas of some of her works. As you enter, you will go through a separate living room of the Suite.It is separated by an inner terrace with its own cactus garden. The front of the Suite has a huge balcony for you to enjoy the beautiful views. The bedroom has a four-post bed. 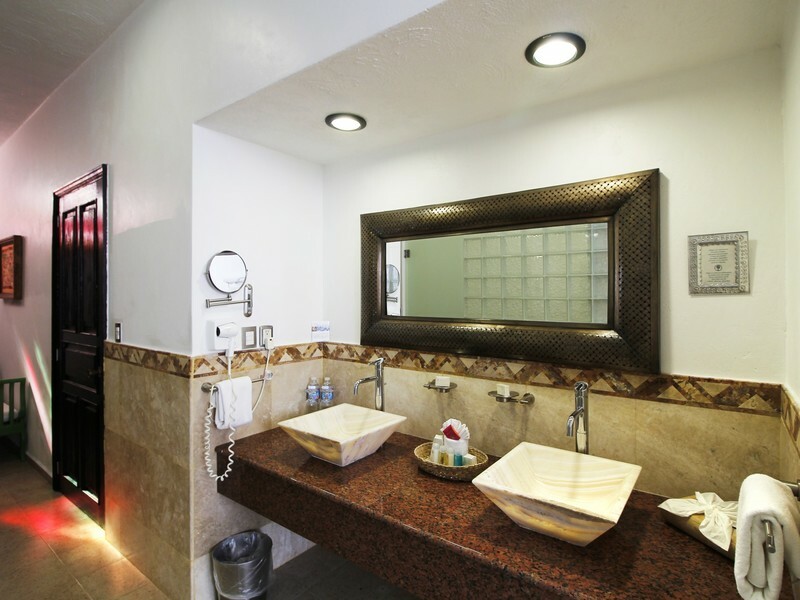 Your bathroom is exceptionally wide, providing ample space for the Jacuzzi where you can relax with your spouse.This suite also has a walk-in dressing room, complete with a wardrobe for your clothes. Alarm clock with speaker for ipod / iphone. 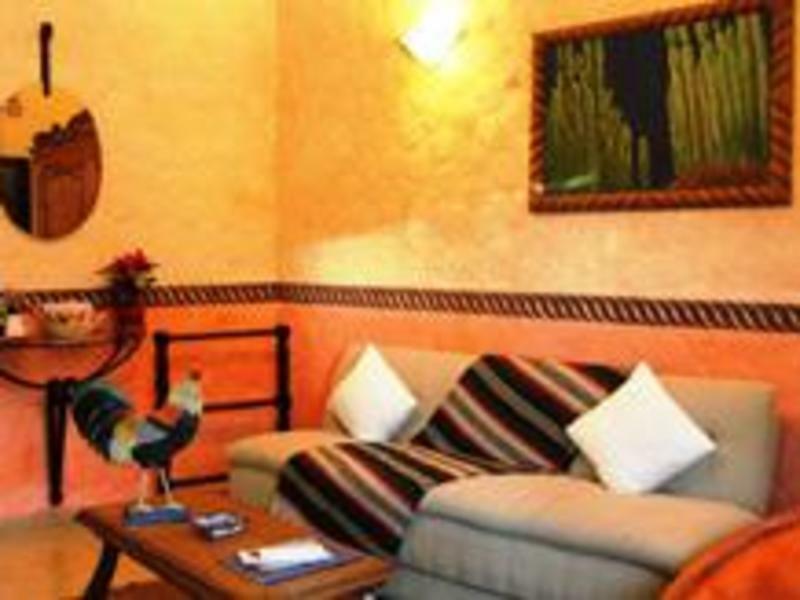 This is a beautiful suite located at the back of the Cactus plaza. From its high vantage point, our guests enjoy a magnificent view of the mountains of Guanajuato. 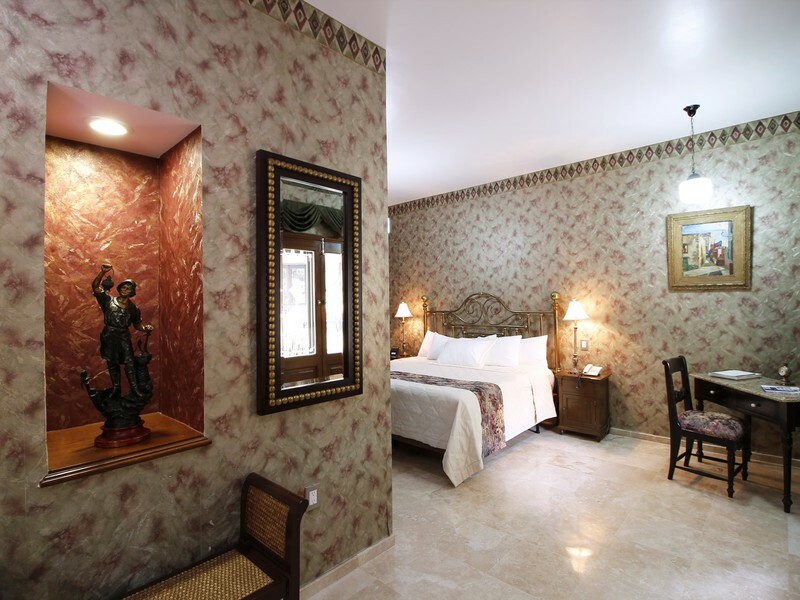 This suite has been decorated with the finest handicrafts of Puebla. It is a spacious suite with a balcony to admire the landscape.The large bathroom has a beautiful stained glass window that filters sunlight for romantic couples sharing a relaxing Jacuzzi. 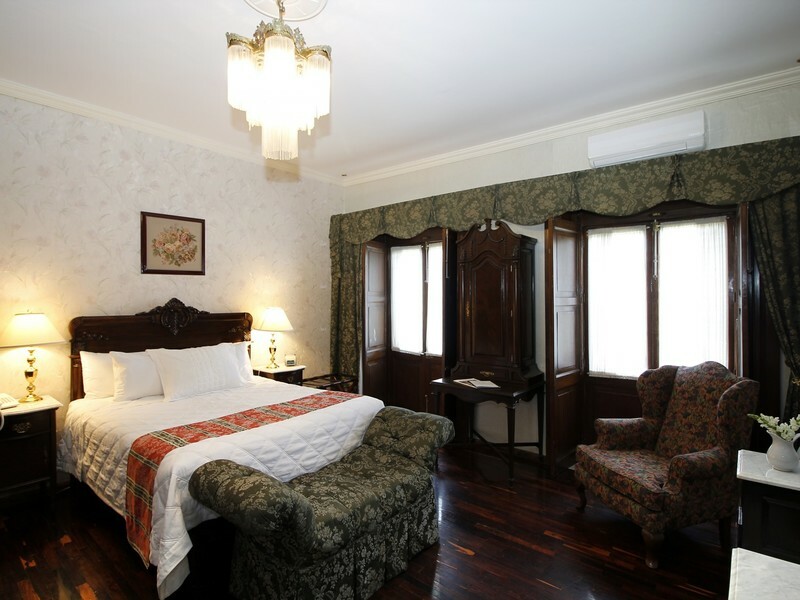 This suite was dedicated to the China Poblana that is the traditional costume of the state of Puebla. 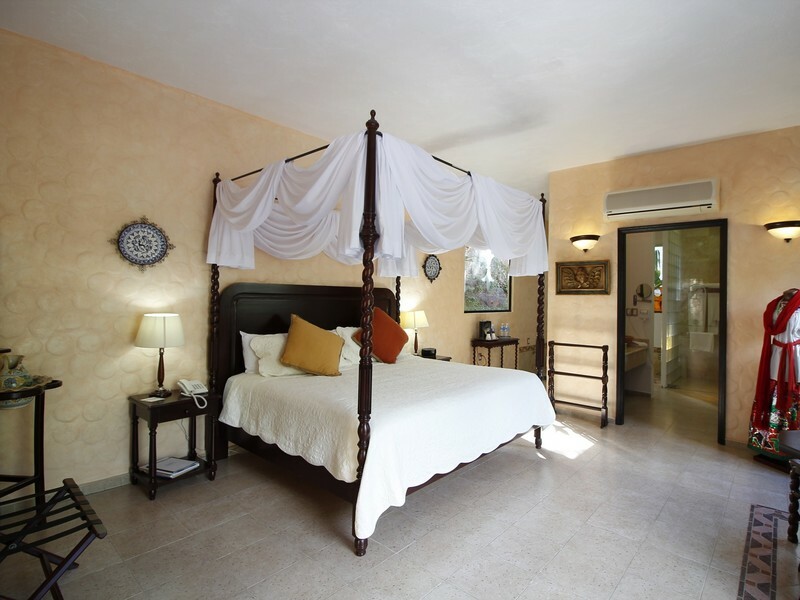 This suite is located in the upper part of the plot, facing a beautiful garden and on the edge of the outdoor Jacuzzi. His position gives him his best qualities "La Vista" and Privacy". Its decoration is with Oaxacan handicrafts, with beautiful colors and attractive handcrafted pieces. 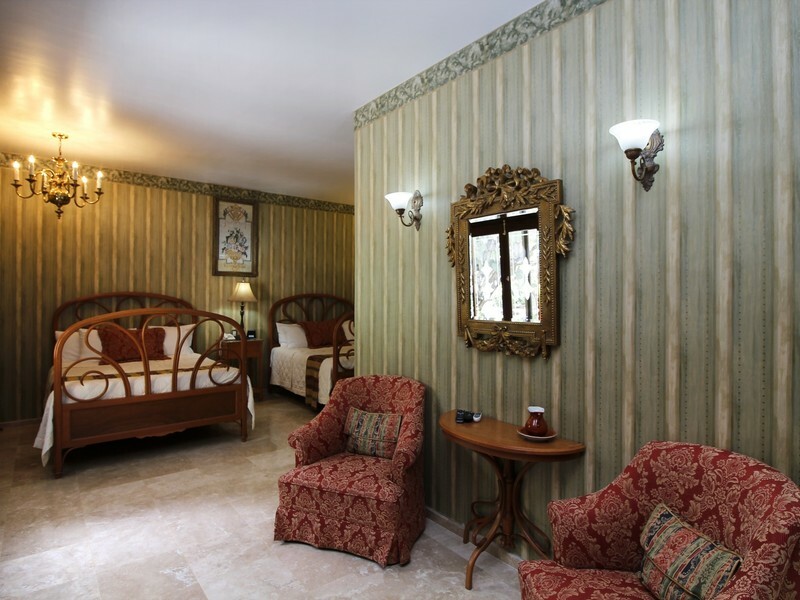 It is a very spacious suite that invites relaxation for a couple. From its balconies you have a view towards the mountains of Guanajuato. In the jacuzzi has a window from which you can have the view of the mountains in full privacy. 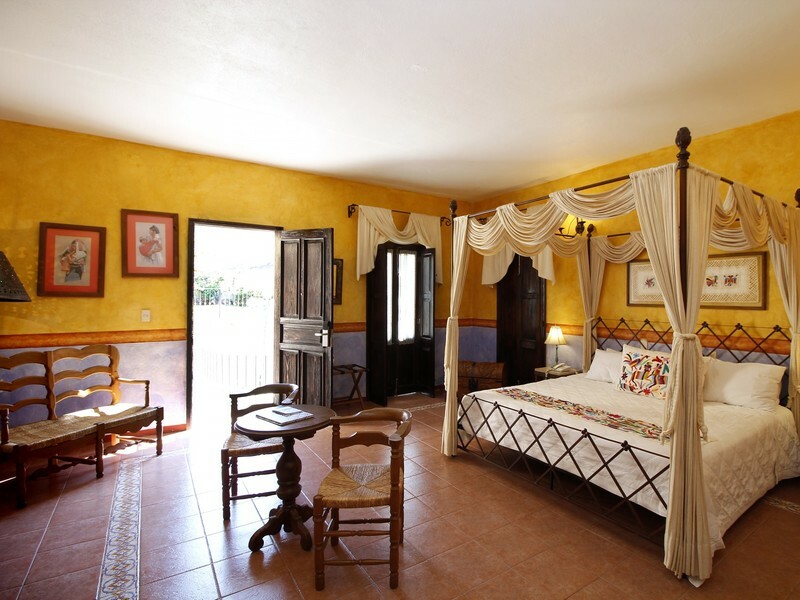 This suite is dedicated to the Guelaguetza, the colorful festival that takes place in Oaxaca. 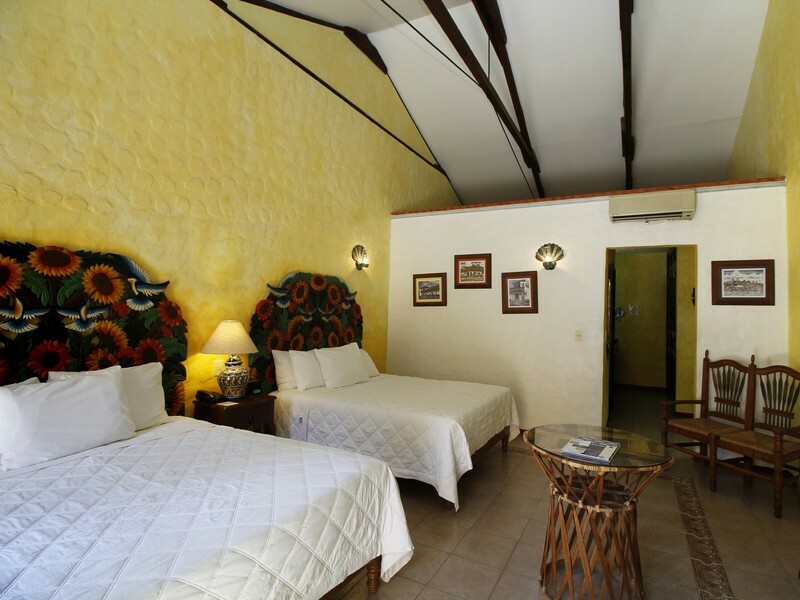 This suite is vivacious and colorful, decorated with the beautiful handicrafts of Michoacán, with delicate touches in its artisanal arrangements that make us know the beauties of this state. It has a window overlooking the terraces. Its bathroom is spacious and with a large jacuzzi. 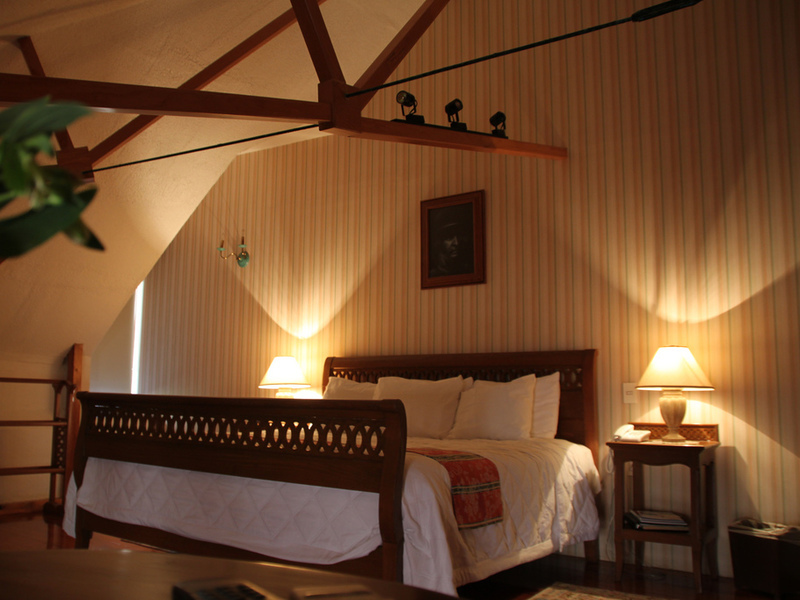 This suite is dedicated to the Purépecha culture, originally from Michoacán. The suite was built in what was left in ruins of the original kitchen of the house, this great detail was rescued and it was decorated with crafts from the Guanajuato region with Talavera de Dolores, works of art from Guanajuato and many details that will take you to see the richness of this beautiful state. The suite has a large Jacuzzi for the relaxation of our guests, a bar where was the kitchen of the house and today it is used as a desk. The room is dedicated to the women workers of the mines called Las Galereñas. Located in the plaza de los nopales, its decoration is with the charming handicrafts of Chiapas, where the colors and richness of the artisan pieces abound. It is a spacious suite with its living room, a bathroom with a very attractive decoration and a beautiful jacuzzi to enjoy as a couple. 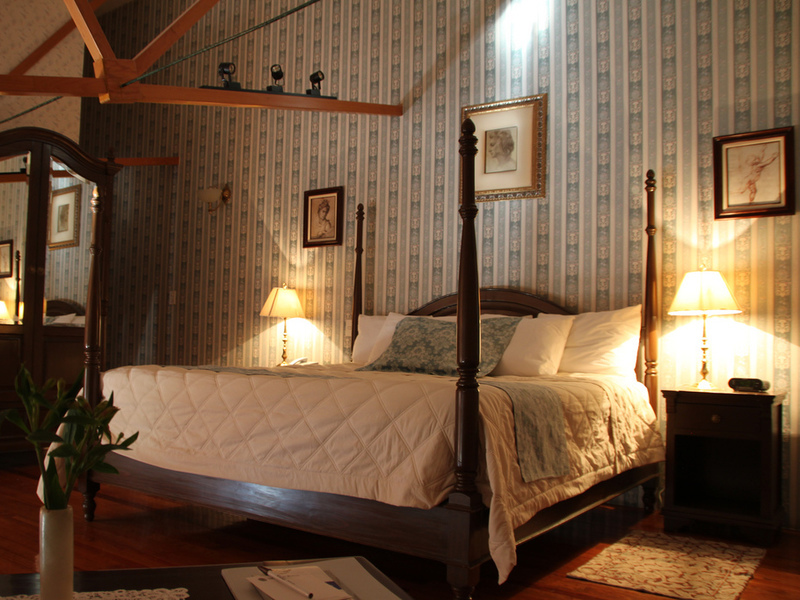 This suite is dedicated to the Lacandon culture of Chiapas. Located in the plaza de los nopales, its decoration is with the attractive craftsmanship of Jalisco, where the charro arts and their environment are shown. 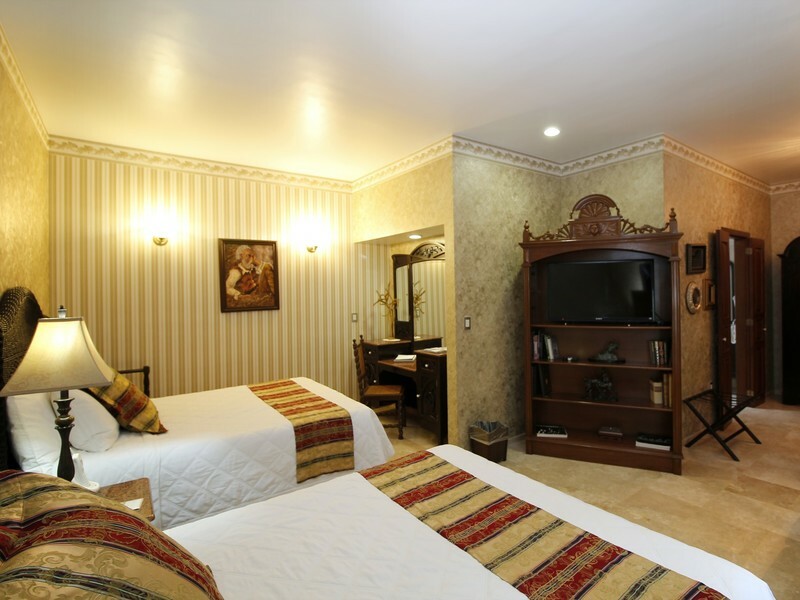 The suite is spacious, has a room with beautiful details alluding to these characters, even the classic Mexican charro movies. 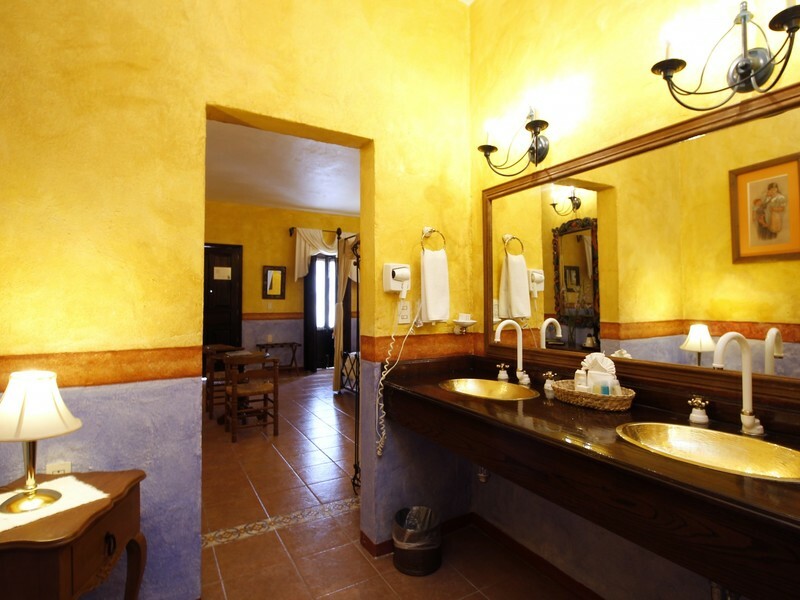 Its bathroom with an attractive design is spacious, with a large jacuzzi. 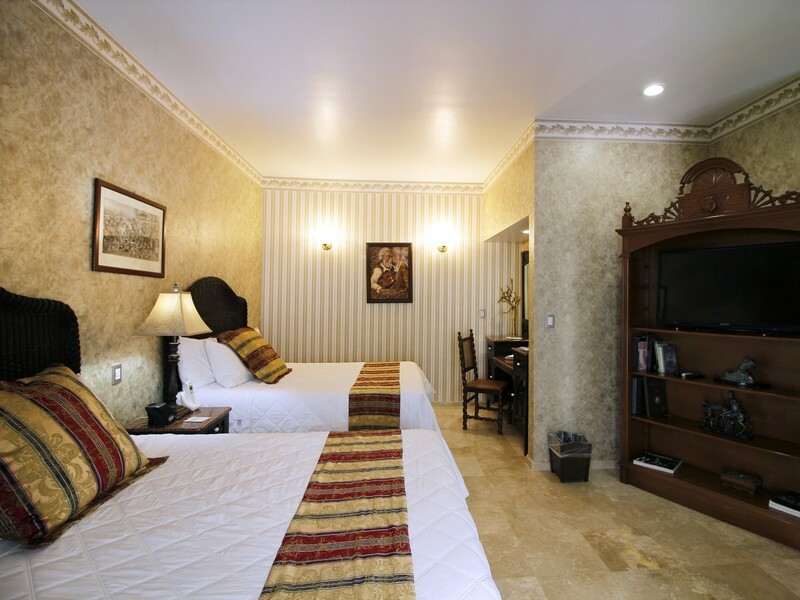 This suite is dedicated to the Charros Mexicanos culture. 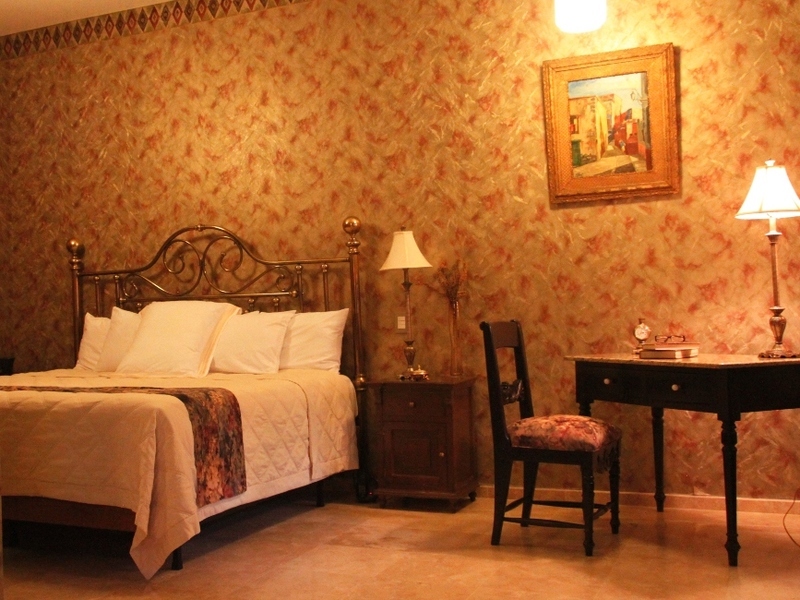 Around the plaza de los nopales is this suite decorated with a sober European style, it is a spacious room where beautiful paintings of the great Guanajuato painter Don Manuel Leal can be found. It has a small reading area, as well as a beautiful terrace to enjoy the landscape. Its bathroom is spacious and has a jacuzzi. Located in the plaza de los nopales. 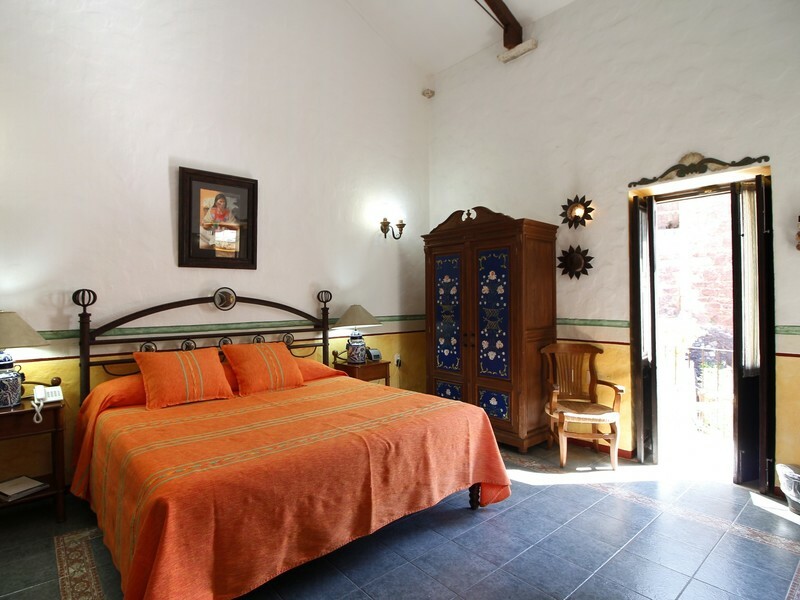 It is a classic European suite with a very nice decoration, it has Vienna-style headboards and small details that remind us of "Don Ismael" a great character that influenced to some extent the creation of Quinta Las Acacias. 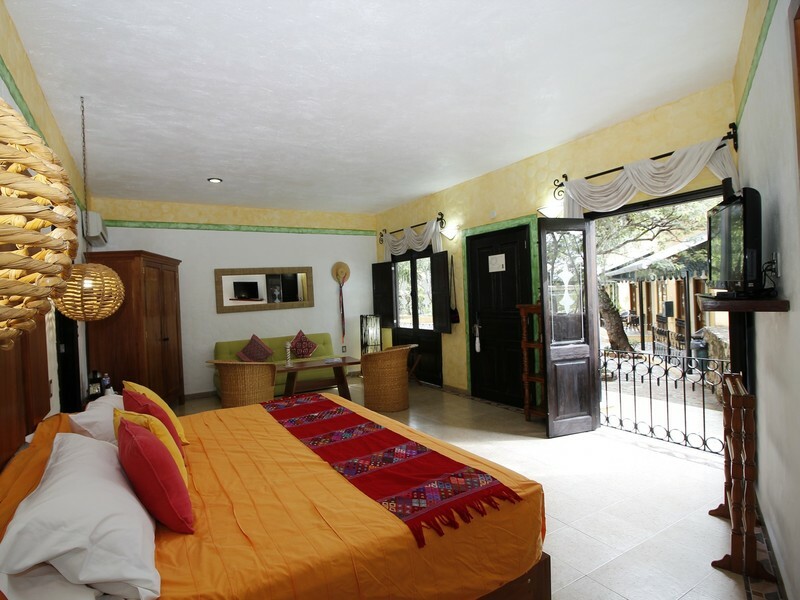 This suite is spacious, has a terrace and an equally spacious bathroom with its Jacuzzi. 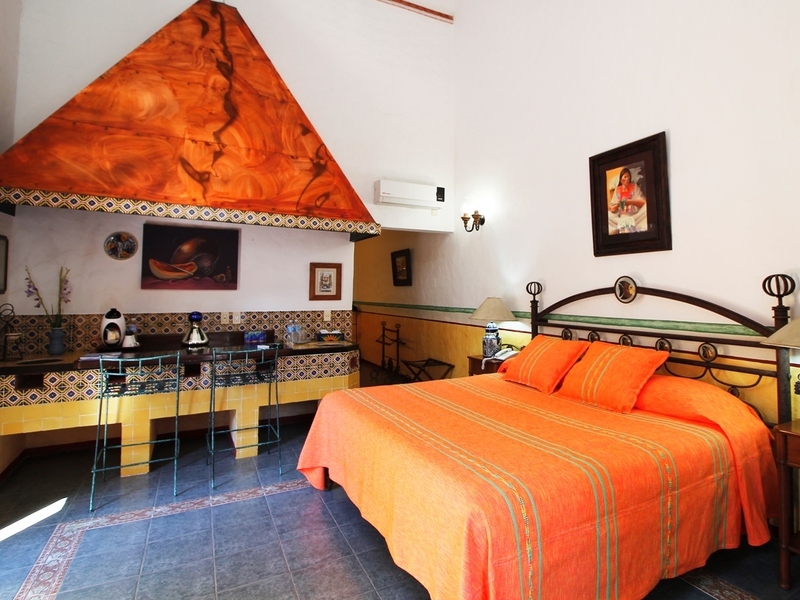 This suite is also located in the nopal area, with a totally European decoration in sober blue tones, with small details that remind us of the great creator of the Cervantino Festival in Guanajuato: Enrique Ruelas. 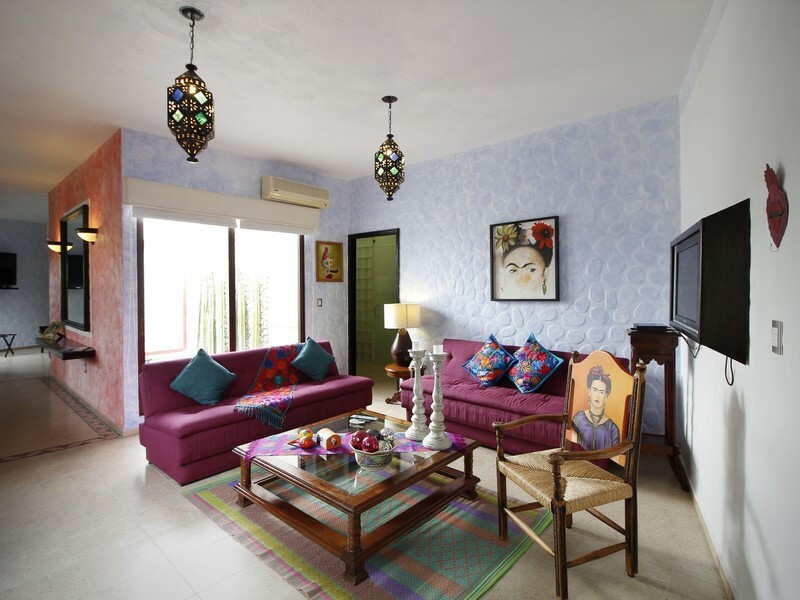 It is a very spacious suite with a terrace to the front to enjoy the beauty of nature. Your bathroom is also spacious and has a jacuzzi. This room was dedicated to Mr. Enrique Ruelas, Creator of the Cervantino Festival in Guanajuato. A very cheerful room with furniture old and vintage with small details that will make you feel in a house of the nineteenth century. Its two balconies give freshness and a beautiful view of the park Florencio Antillón. The room is very spacious, cheerful and at the same time sober. Decorated with period furniture and full of details that transport us in time. It has two balconies that give us a beautiful view of the Florencio Antillón park. 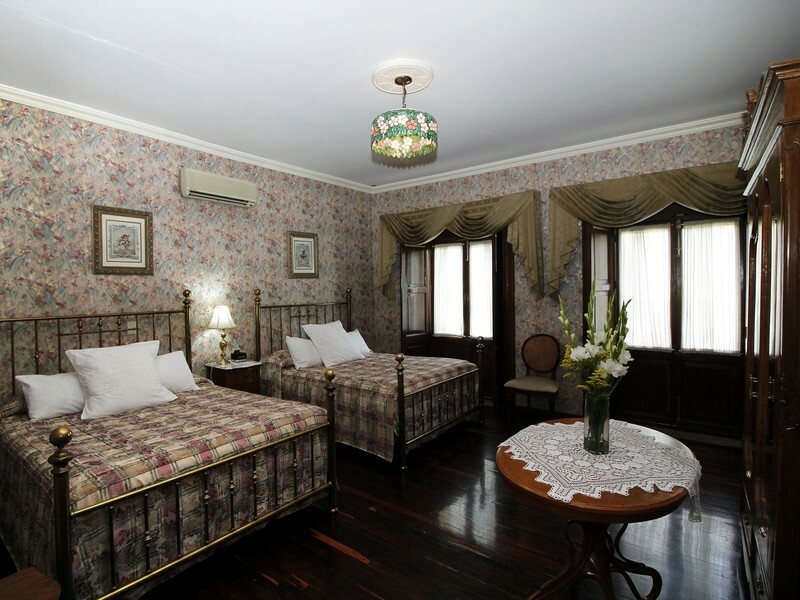 The room with its antique furniture will take us to those years we visited the grandmother or great grandmother. In the room you will find in each corner a detail that will remind you of this important person in the family. With its two balconies gives us a beautiful view of the Florencio Antillón park. This room decorated in green, also with a very European style, has a large window with stained glass and two small windows. This room was integrated in what was the attic of the house and took advantage of the original structure giving an very special touch. This room was dedicated to the miners of Guanajuato. This room is decorated in water blue tones, with a very European style, with a very large window with a stained glass window and three small windows. This room was integrated in what was the attic of the house and took advantage of the original structure giving an very special touch. Dedicated to the hill of Bufa that is in front of the hotel.